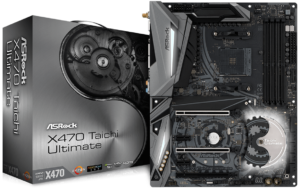 Are you waiting for the best X470 Motherboards to be available on the market? We are too! 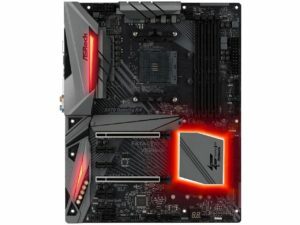 <Update from April> X470 Motherboards released. Recently, AMD confirmed April 2018 is going to be big for them as they are planning some big launches this year. There are not much technical details or model numbers revealed yet. However, the CPU war between Intel and AMD is going to be similar or even intense compared to what it was in 2017 as AMD’s new Zen + 2000 series Desktop APUs will hit the market shelves. These APUs are based on the entirely new chipset, the AMD x470 & the upcoming B450 chipsets. 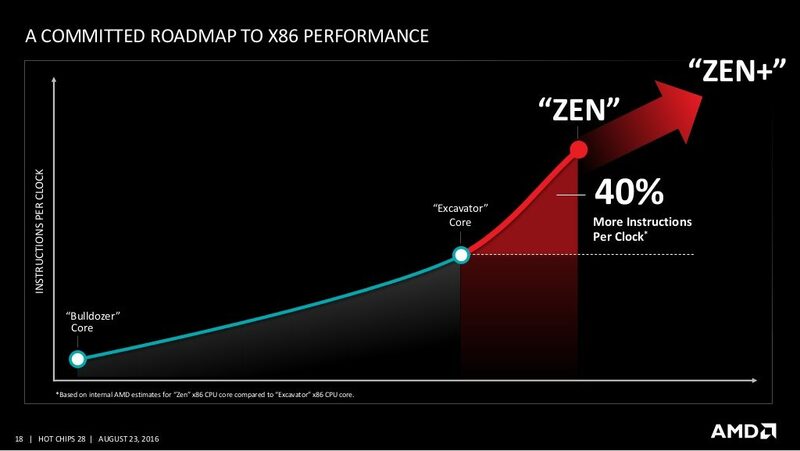 And definitely, they will require the new motherboard that supports the Zen+ CPU’s. The new core dubbed as Zen+ CPUs would be based on the 12nm lithography process node from Global Foundries. As you can see from the above image, if we compare Zen+ to the current 14nm LPP part, the new architecture is expected to deliver higher clock speeds and better power efficiency which will be an iterative update from the 1st generation Ryzen CPU’s. At CES 2018, Gigabyte showed off their new AORUS X470 Gaming motherboard. These motherboards are expected to launch in April along with the AMD’s Zen+ 2000 series desktop APUs. AMD declared that they would continue to support the AM4 until 2020. It means that 12nm Zen+ processors will support both 300 and 400 series motherboards and first gen Ryzen Processors are also cross-compatible with these motherboards. It packs all premium features you can find on a high-end motherboard; including 10+2 power phase, 6mm copper heat pipe with direct contact with VRM layout from both sides. Efficient aluminum fins over VRMs for cooling purpose are there. 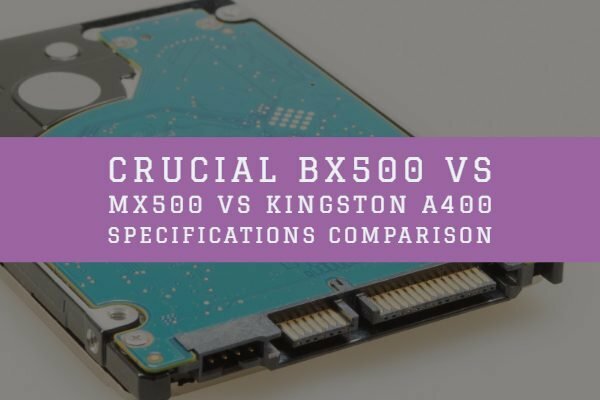 The chipset is quite identical to x370. It has one M.2 slot connecting directly with processors, while other hanging off the chipset. First one supports M.2 22110 form factor while other supports M.2 2280. There are switches for single/dual BIOS mode with a debug LED indicator. Moreover, Gigabyte also clarified that there is an external clock generator as well. It features three full-length x16 slots are electrically PCIe 3.0 with x16, x8 and x4 modes. Moreover, there is two x 1 slot as well. PCIe and DIMM slots, chipset heatsink, the front edge, voltage regulator shroud and I/O panel have RGB around it. The real I/O panel consist of 6x USB 3.0, 1x USB 3.1 Type-A, 1x USB 3.1 Type-C ports. There are standard 3.5mm and optical audio output and RJ45 Ethernet port as well. 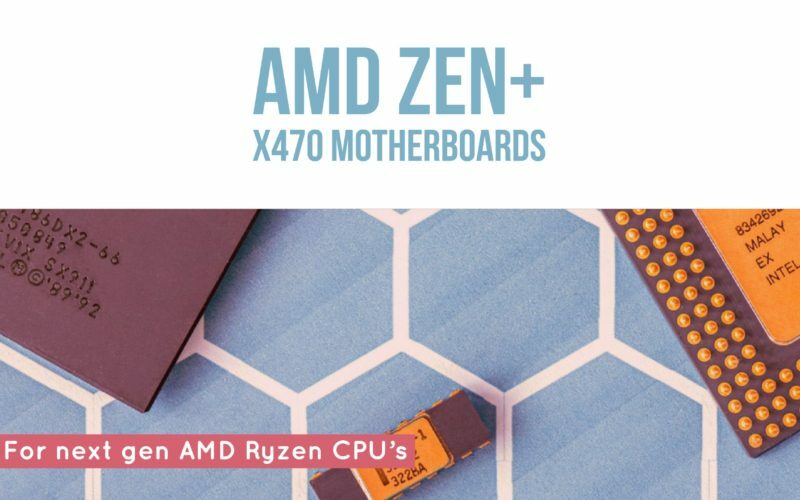 The complete list of AMD x470 motherboards are finally here, and we have listed them out below. We have them in order of recommendations like we always do. Here it goes. 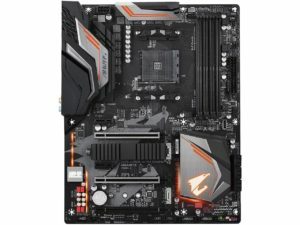 The first featured motherboard is Gigabyte’s gaming motherboard, dubbed as the Gigabyte Aorus Ultra. This motherboard supports Unbuffered ECC memory of up to 64 GB. It supports 4 DIMMs DDR4 memory of up to 3200 in O.C mode. 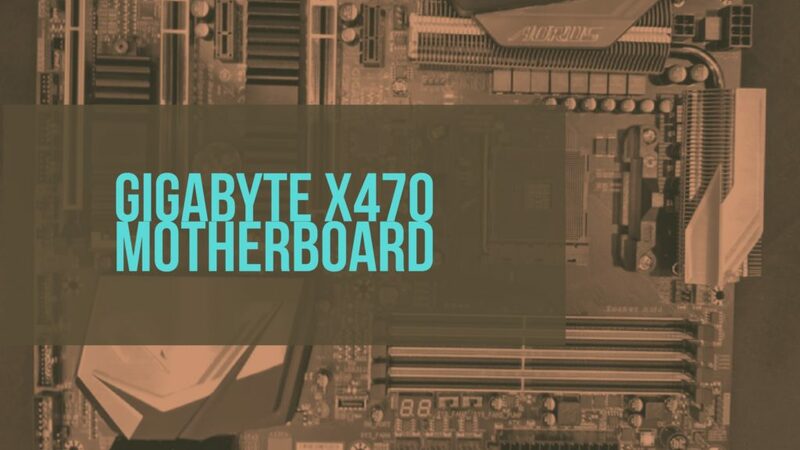 In case if you are planning to use it with an AMD CPU with integrated graphics, the motherboard provides an HDMI 2.0 Interface that supports 4096 x 2160 at 60 Hz of resolution. The Asus motherboard is rock solid and is in line with gaming product portfolio. It comes with all the goodness which you can expect from Asus’s ROG line of products. With top end specs, you can get the best performance out of your Ryzen processors. One of the top end motherboards under the AMD X470 family, it comes with inbuilt WiFi and Ethernet connectivity options. 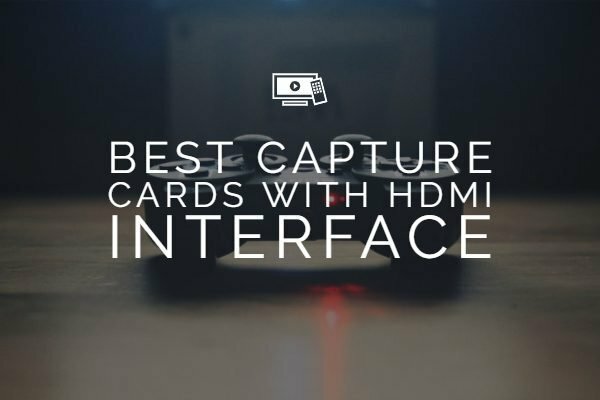 Best gaming compatibility and performance. The motherboard comes under the mainstream category and would be available in an affordable pricing bracket. In fact, it would be what would suit Ryzen 2600x or 2700x much better for budget users. The MSI Mystique gaming utility would help you customize your lighting performance. Appropriate active cooling with enough number of fan headers. It comes with a host of MSI Gaming tools. This will enhance your gaming pleasure. Best in class support for the best VR experience. 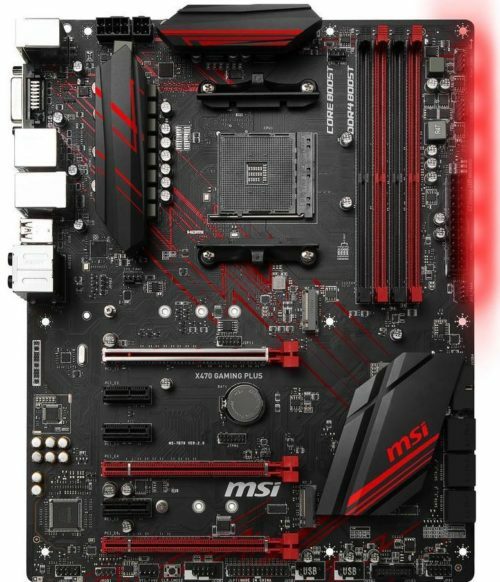 The motherboard offers lowest ever latency making it one of the best options you can go with. The motherboard is a little high end in terms of functionality and pricing. 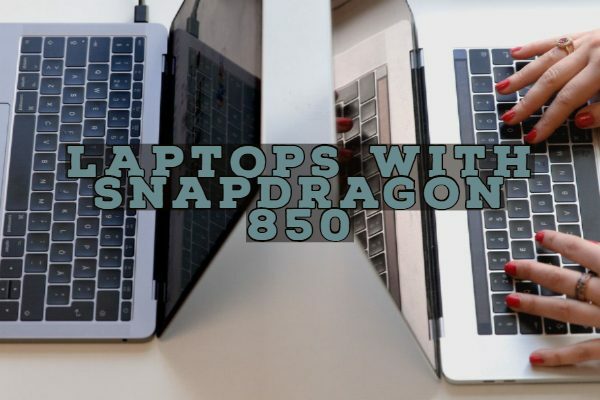 They are the best suited for the PC enthusiast. The best option for PCIe-frequency overclocking. “Purity Sound4” that offers purified audio performance. The water pump header technology ensures efficient cooling. Excellent voltage protection against Full Spike Protection. A-Tuning multipurpose software new features and enhanced utilities. You may find more information on the official website. 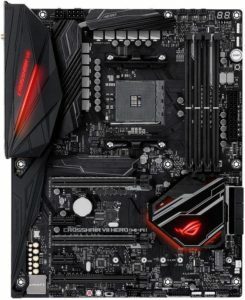 Looking for a mainstream motherboard for your AMD Ryzen processors? The Asus Prime X470-Pro can be one of the excellent options for you. Intelligent cooling and optimized overclock mechanisms. 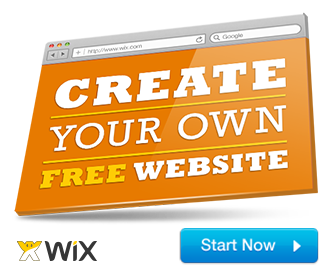 It offers you a 5-way optimization option. ASUS UEFI controlled cooling mechanism. Interested? Check on the Asus Website for more details. Asus TUF X470-Plus Gaming motherboard is the specific variant of the above motherboard. The series has been a well-known name for the durability and gaming excellence. TUF protection ensures durable functionality. Overcharge protection and long-term reliability. Check it out on the Asus Website. The Ryzen series of chipsets are expected to be smaller enough. However, it has been claimed by AMD that they will be utilizing the same sockets as the previous series. AMD is hoping the OEM’s to release new parts from time to time based on these new chipsets. It is supposed to support the 2000 (and the older ones) series of Ryzen processors. With the stipulated time frame market at April 2018 – we are hoping the motherboards to be available already through the respective websites.